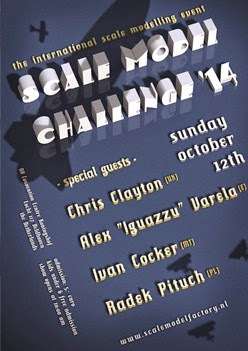 MASSIVE VOODOO: MV is at Scale Model Challenge! in October a massive gathering of Scale Modellers and Miniature Painters is taking place in Veldhoven, Netherlands - the SCALE MODEL CHALLENGE! Massive Voodoo will be present with a booth in the EXPO-Zone, with monkeys, bananas (we count on you, Ron! 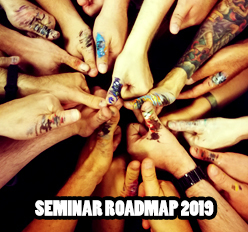 ), miniatures in a cabinet, palm trees and many members of the MV-Team (Oli, Sanne, Val, Max, Phil, Roman, Raffa and Bene + plus our Monkeybrothers working at Painting Buddha, Mati and Ben will also be present and maybe they find sometime to hang around with their ape gang). We will work on actual projects at our booth, answer questions and have a good time with everyone coming by. We are looking forward to see many new and known jungle friends there! - Oli aka Honour Guard is giving a freepainting class, giving insight in his magnificant paintwork. - The MV-Team will again hand out their special prize in the competition for the most creative entry. - Roman and Raffa are invited of helping at the competition and are members of the judging-teams. There are 3 Kommentare for MV is at Scale Model Challenge! Excited to see you guys there again! and again one more reason to visit that great exhibition and contest!